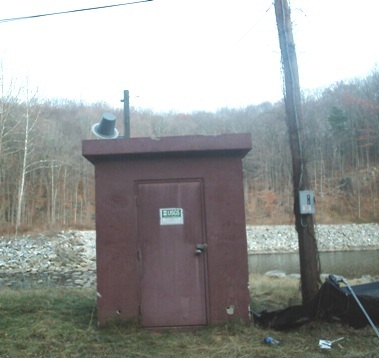 LOCATION.--Lat 41°15'58", long 73°39'56" referenced to North American Datum of 1983, Westchester County, NY, Hydrologic Unit 02030101, on left bank 600 ft downstream from dam on Cross River Reservoir, and 1.5 mi northeast of Katonah. PERIOD OF RECORD.--March 1994 to current year. GAGE.--Water-stage recorder and crest-stage gage. Datum of gage is 203.26 ft above NAVD of 1988. Prior to Feb. 8, 1996, at same site at different datum, and Feb. 8, 1996 to Sept. 16, 1998, at site about 0.2 mi downstream at different datum. REMARKS.--Flow regulated by Cross River Reservoir. Water Years 2014-18: Records good. EXTREMES FOR PERIOD OF RECORD.--Maximum discharge, 2,070 ft³/s, Mar. 7, 2011, gage height, 7.71 ft; minimum recorded discharge, 0.01 ft³/s, part or all of each day, Oct. 7-9, 14-18, 27-28, Nov. 3-4, 1997, but may have been less during these days; minimum gage height, 1.24 ft, Nov. 17, 1998.